A great kitchen floor will add a beautiful look to this important part of your home, whether doing a kitchen remodel or new build. 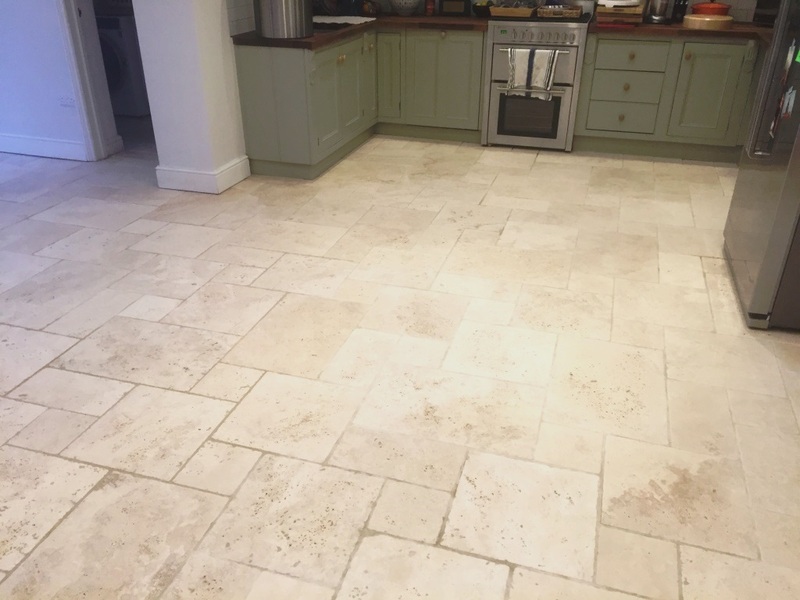 There is a wide variety of kitchen floors, such as natural stone, floor tiles, laminate kitchen flooring, and sheet vinyl that you can use when aiming to get the most out of your floor so it can stand out and look strong. 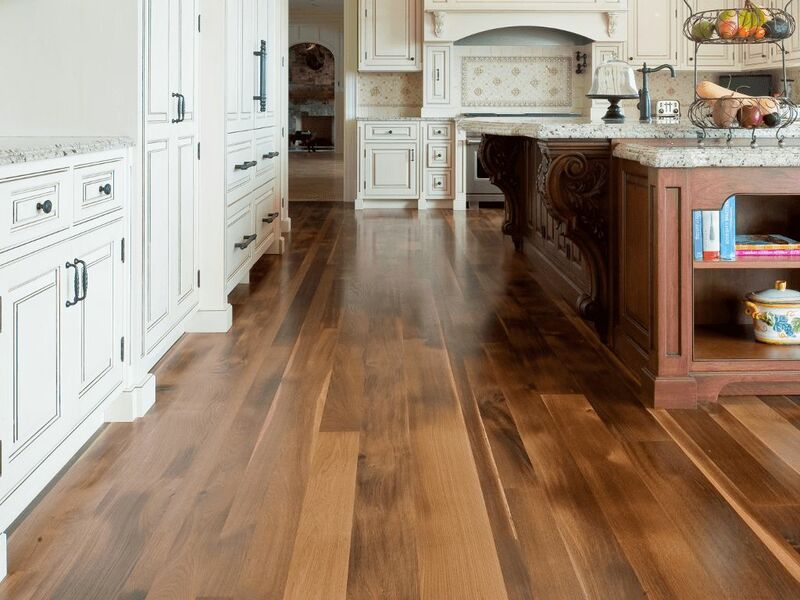 We kick off with a variety of hardwood flooring options for your kitchen. 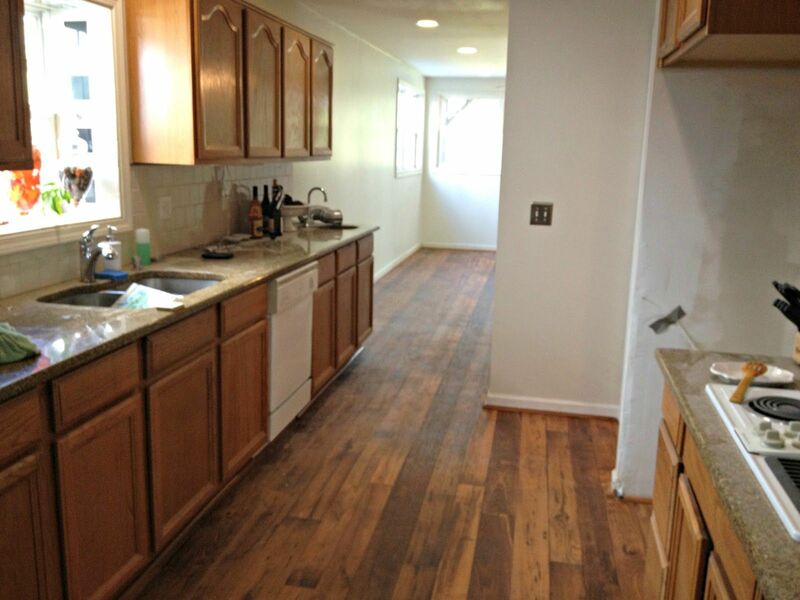 You can also check out our massive photo gallery featuring kitchens with hardwood floors. Medium hardwood is made with a good body that features a detailed brown look. It is not too light or dark in its tone. Such a flooring surface is easy to display in most rooms. It will not directly impact how the room looks in terms of its size. The neutral tone of a medium hardwood floor adds a nice look that mixes in well with many spots. It is easy to seal and wash such a flooring surface. The various stress lines on a hardwood floor panel create an all-around natural look. The medium tone doesn’t always offer too much of an elaborate look. You will have to watch for how the hardwood is handled. It can scratch or scuff easily if you are too rough on it. This offers a lighter tone with a slightly yellowish or off-white accent all around the floor. It produces a relatively bright appearance all the way around. A light hardwood floor will not show scratches or wear as easily. Therefore, it is ideal if you have pets in your home. This helps to make any room look a little larger in size. This doesn’t work very well in smaller rooms. Regular cleaning is needed as it is much easier to spot stains on this particular surface. Dark hardwood uses a cherry or mahogany tone. It is often stained with a dense finish to give it a deeper look. This fits in perfectly with a variety of larger rooms. The deep tone of dark hardwood offers an elegant appearance. This can reflect light relatively well and will not lighten or warp when sunlight comes into a spot. Scratches are very easy to spot on a darker surface. This can make any kind of room look a little smaller, thus making it a bad choice for smaller rooms. You could spend $3 to $7 per square foot on this flooring option. The added cost comes due to the extra need to get a stain applied to create the darker tone. 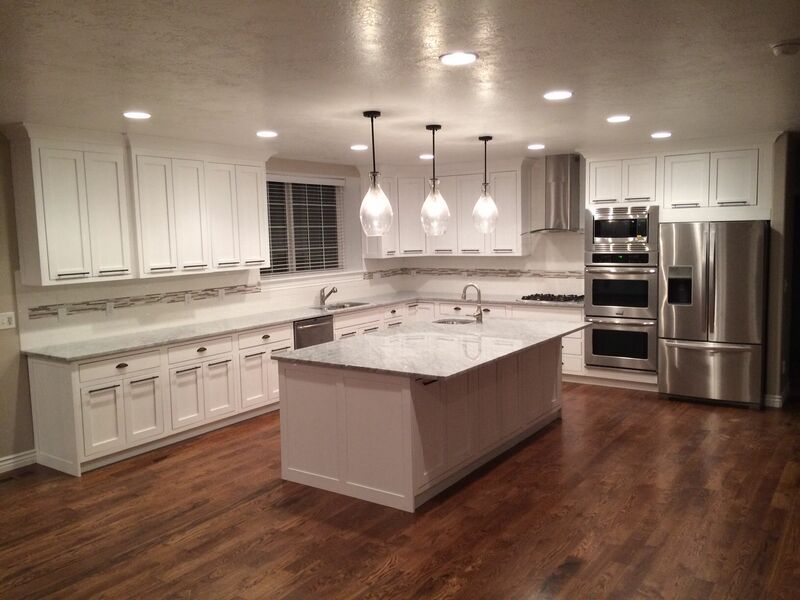 Check out our huge gallery featuring kitchens with hardwood flooring. Porcelain tile is made with a solid ceramic material. This is known for how it is durable and nonporous and adds a strong look to any part of your home. This will not break or crack apart easily. It can resist a number of stains. Individual tiles can be replaced if any problems develop. 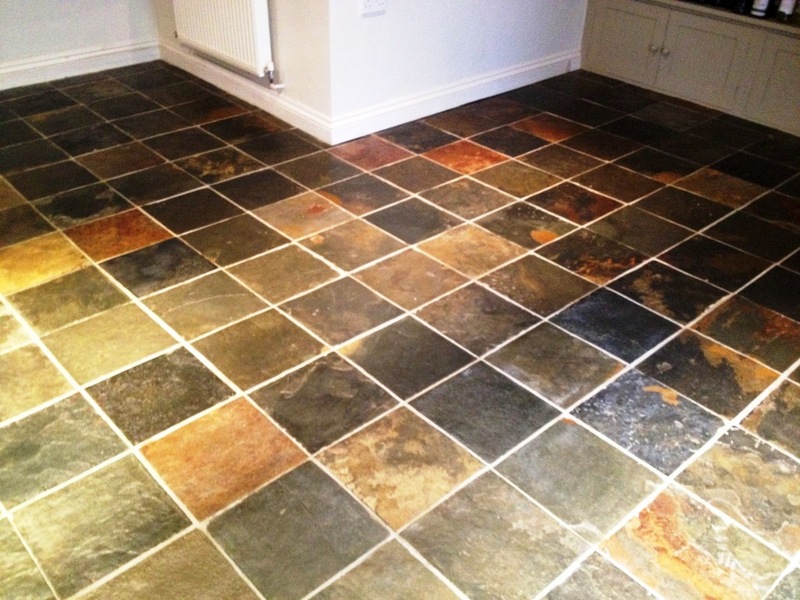 The grout around the tiles can attract stains if not treated carefully. This is a hard surface that is not ideal for living areas. Anything that is fragile will quickly break when it is dropped on this surface. Porcelain tiles range from $2 to $20 per square foot depending on the quality of the model. Ceramic tiles are often made with other compounds and aren’t as solid as porcelain. You can always look for great surfaces that are easy to apply in a good number of tones all around. The smooth surface of a ceramic tile makes it very easy for you to get it cleaned off. This comes in many different styles. The smooth surface of a ceramic tile makes it easy to walk around while also being simple to clean with no jagged spots. This can scratch quickly if you are not careful. It also has a cold feeling on its body, thus making it tough to walk on at times. It will cost $2 to $20 per square foot to get your ceramic tiles ready. See our tile kitchen floor gallery here. Travertine is a limestone material that is deposited by mineral springs. It comes with a lighter tone. This is one of the more durable types of stones you can use. It is easy to replace any tiles that need fixing. These tiles are also not very easy to scratch. Travertine is a heavier surface than most other tile options. This can be heavily damaged by acidic substances. 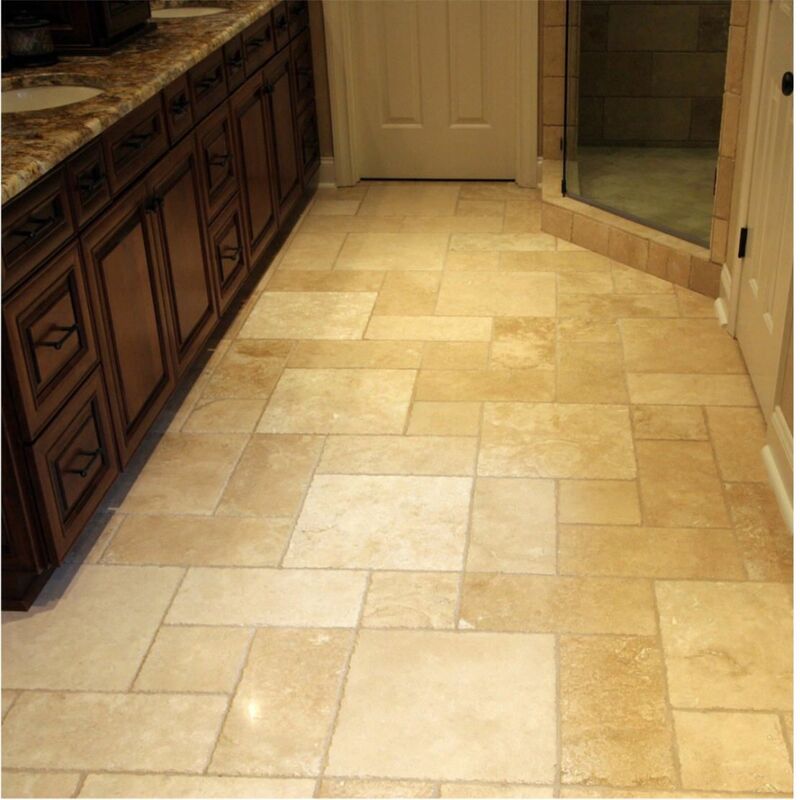 Typical travertine costs anywhere from $2 to $8 per square foot. Concrete floors are made out of broken stones and gravel, cement and other items. These are melted down and mixed with water and then poured into a mold where it can harden. You can get a concrete surface added with one solid body all the way through. Concrete offers a smooth grayish look although it can be colored if desired. This can resist moisture quite well. It offers a more contemporary look to your space. This is very durable and will not crack easily. This surface can stain if it is not treated regularly. You will have to re-seal your concrete floor regularly to keep it comfortable. It can be rather cold to stand on. You can always add a radiant floor heating system to go underneath it if you prefer but that would have to be added before the installation process starts. The cost will vary based on how much preparation is needed to get the concrete ready. It can cost $2 to $20 per square foot depending on what you order. Vinyl is a synthetic material that mixes chlorine and ethylene. Vinyl flooring offers a great look that is naturally water-resistant and smooth. It can be textured to give off a wood-like look all the way around. This resists water amazingly well. You can quickly pick up any water that is spilled on its surface. This lasts for years to come and does not scuff too easily. It can be prepared in a variety of tones without any joints or gaps in the way. The subfloor that you plan on installing your vinyl flooring on must be perfect. It has to be sanded down and leveled carefully. Some gasses may be produced by the vinyl surface. It can cause harmful chemicals to develop in your kitchen depending on how intense those gasses are. Vinyl flooring materials are available from $2 to $5 per square foot. Limestone consists of a series of skeletal fragments gathered from marine life. It features calcite and carbon mixed together to create a beautiful off-white tone. This is a hard and tough surface that does not wear out quickly. It is easy to clean off limestone. This can be damaged by acidic materials. You have to add proper sealants to keep the limestone protected. This is a porous surface. You could spend $2 to $10 to get a limestone surface ready. Slate is a stone compound that is typically dark in its body. It is often made with a sanded-down body as some slate stones may come with natural grooves. 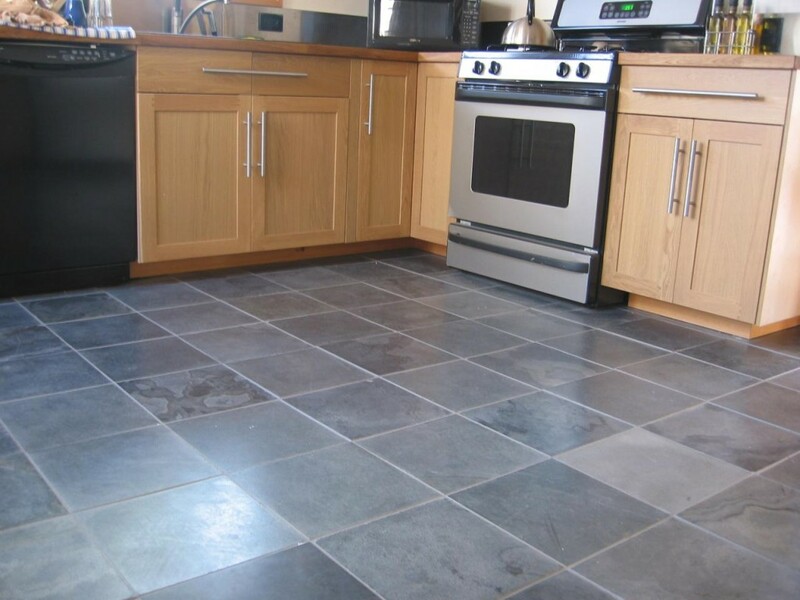 The color of a slate tile will not wear out or fade easily. This can be found in many dark tones. Avoid adding excess pressure onto slate as it can crack if not handled properly enough. The subfloor must be fully smooth before you can get slate tiles added. Slate is available for about $5 to $10 per square foot in most spaces. A carbon-based compound, this is a great surface to have in your kitchen. It is often found with a few different light and dark tones all around. It is a very classy material to install. You can get marble added to a wall with just a few millimeters of compound over a subfloor. This is strong enough to last even when slim amounts of marble materials are used. Tiles are all distinctive for having their own individual lines and qualities. You can get tiles in a variety of sizes added into a spot. Marble surfaces can chip if you add lots of weight onto them. Marble surfaces are porous and can take in lots of water. Therefore, you must get any marble surface sealed off as soon as possible. Marble can cost from $10 to $20 per square feet to use. 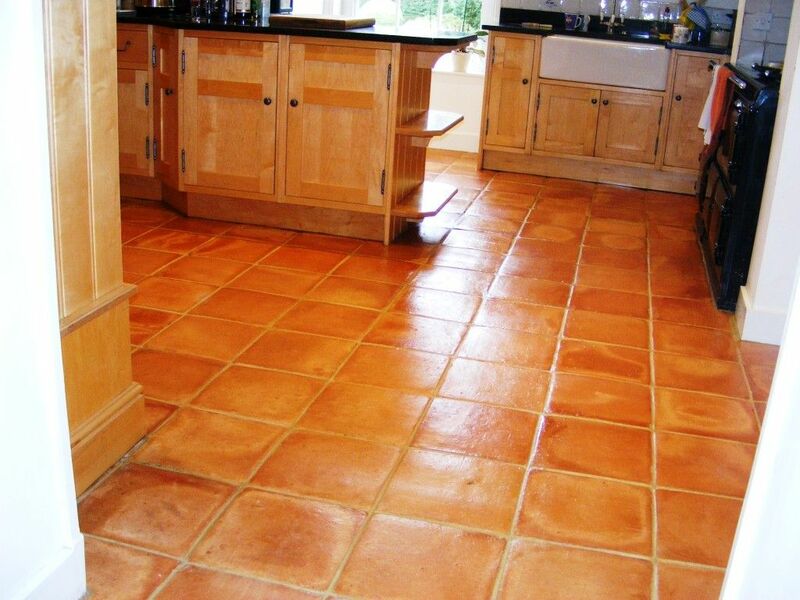 Made with a clay body, terra-cotta has a brighter red or orange tone to it. It is prepared in a kiln to be fired up so it will not have any pores. You can add a sealant to the tile to create a stronger body. The non-porous nature of terra-cotta makes it easy to use in spots where stains might be common in. It’s not hard to clean it off either. You might have to get the tiles replaced if their colors fade. This can be rough in its texture unless it is sanded and sealed. Such tiles are good for $3 to $8 per square foot on the market. Linoleum is a canvas material that features a mix of cork and linseed oil as a strong coating. It is made with a hard surface. It is a non-toxic material that will not produce any fumes or other common problems. The coloring that linoleum features can be varied. You can order linoleum in bright and dark tones alike. It is stiff and can be difficult to get installed in some cases. Bamboo is an environmentally-friendly wood material that is strong and grows quickly. It has a denser body than most other woods. This comes with a beautiful grain that is very smooth. This is capable of handling spills quite well as it contains very few pores. You could scratch this surface rather quickly. Dents and chips may develop if you are too rough on the surface. 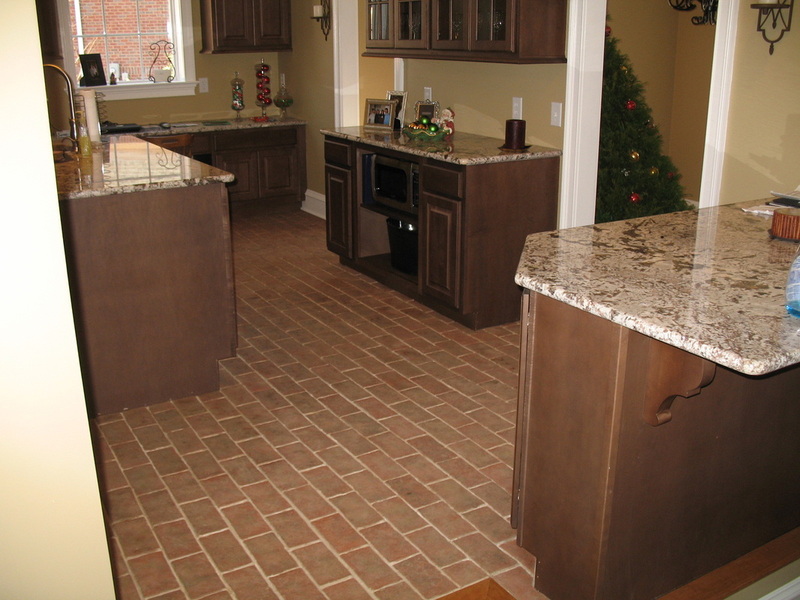 Cork wood is a soft and comfortable surface that is easy to apply in many kitchen areas. It offers a beautiful texture and has a waxy substance on the inside to keep moisture from being a problem. This is a naturally anti-microbial surface thanks to the wax used to get the cork ready for use. This prevents moisture from sticking around too much and can also repel insects. It offers a softer and more padded feeling when compared with other wooden surfaces. This needs to be sanded regularly so it will continue to have a comfortable feeling all the way around. It can scratch and dent quickly if you are too rough on the surface. Cork wood flooring is available for $5 to $15 per square foot. Laminate flooring offers a wood-like appearance all the way around. It uses several thick paper sheets that are applied together with a glue or epoxy. The laminate is painted to give off a wood-like style. It is very easy to get a laminate floor installed. It can be arranged and cut quickly. You can get this ordered in a vast variety of colors and styles. A foam sheet can be added as a layer to go under the flooring to make it feel a little softer. You cannot get a laminate floor finished in any way. It can be noisy and slippery in some instances. This is an affordable option that is available for $2 to $5 per square foot. A painted wood surface will come with a good texture that features a standard hardwood design with a mix of painted materials to create a more elaborate and beautiful look all around. You can get this applied in any color you want. A sealant can be added to the paint to keep the paint tone intact. You could easily scratch this surface if you are not careful. You would have to spend $5 to $10 per square foot for painted wood. It typically costs more than regular wood due to the added effort needed to paint it. A brick surface will be carefully sanded down to create a beautiful space. The bricks are cut into slender bodies to be placed over your subfloor to make it easier to use. It offers a natural look all around. The surface can be fully sanded down to create a strong feeling. This could be at risk of being scratched or wearing out quickly if you are not cautious with it. 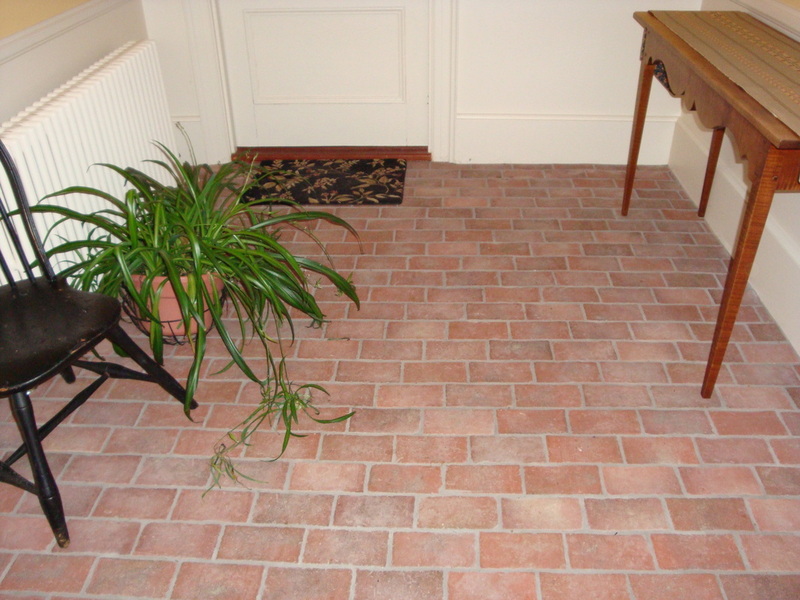 It costs about $10 to $20 per square foot to get a brick surface applied in your home. Cement tile is made with a real cement surface. You will mix cement with water to create a solid surface that is easy to apply. This can be organized in any size or color that you want. This is not very porous in that cement is a very thick compound. Your cement surface could be at risk of scratching. Acids and other harsh cleaners can damage a cement surface. It costs about $10 to $15 to get cement tiles for your floor. Plywood is a compound that uses several layers of wood pulp that are glued together. This creates a slightly stronger surface when compared with other wood options. This can be stained in a number of forms. It can create a thicker body that does not crack easily. You will need a soft underfloor to get this applied without feeling uncomfortable. This can scratch like with any other type of floor surface. You would have to spend $5 to $10 per square foot for plywood in your home. Terrazzo consists of marble or granite that is set in concrete and is then polished to create a smooth look all around. This can come with a variety of artistic flourishes all around. The color tones to choose from are rather varied. It can be used indoors and outdoors alike. This does have a cold touch to it. You can get terrazzo for about $10 to $20 per square foot. 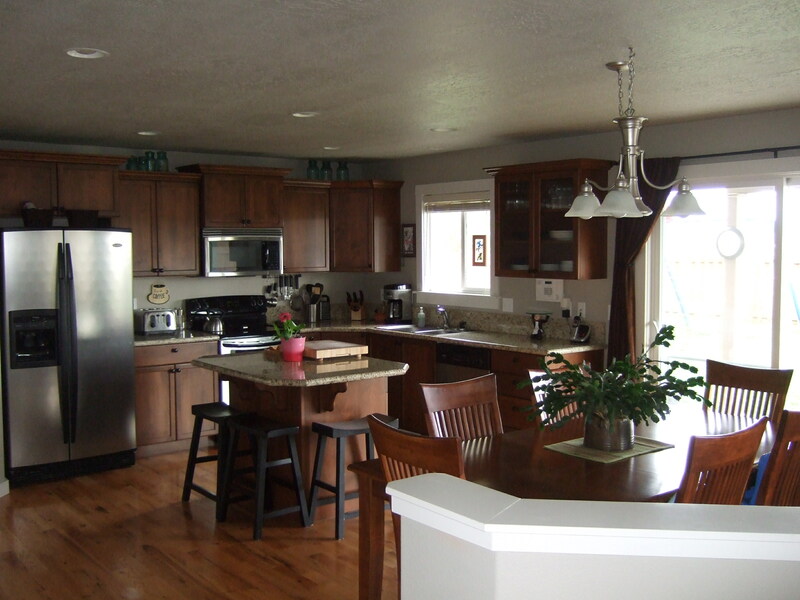 Carpet can be arranged with a thicker built and dense surface to make it appropriate for a kitchen. Industrial-grade carpet can be added in a series of tiles to create a soft body that is also easy to clean. The soft body of a carpet especially adds a bit of comfort to any spot. You can order this in a variety of colors. It can be arranged with one of many patterns. Any spills or stains that get onto the surface must be cleaned off as soon as possible. You will have to regularly get it vacuumed so it will stay looking good and strong. Carpet is available from $2 to $8 depending on the surface you choose. This uses a series of tiles that are laid out symmetrically in a large grid. This is made to where the tiles are all the same size and are stacked against each other in a perfect pattern. 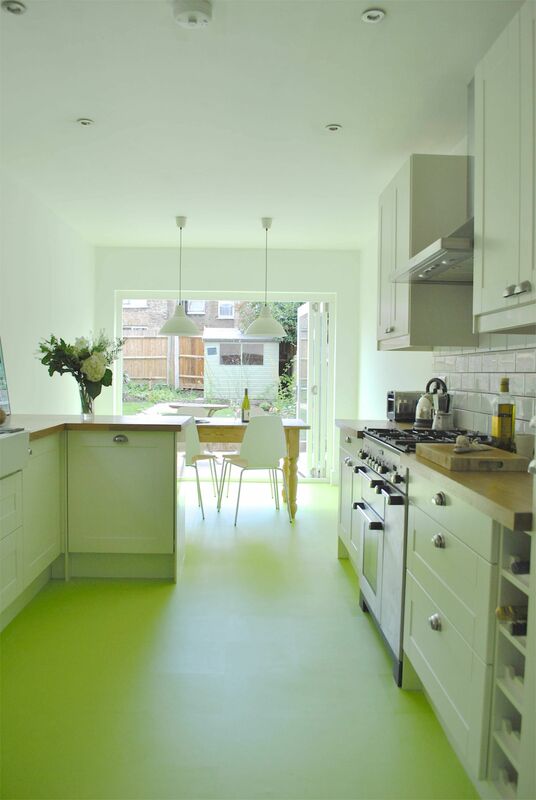 It is the most basic type of flooring pattern that you can use but it may also stand out as an option that creates a wide open look in your kitchen if it is used properly and with enough control. You can choose to add several colors of tiles all around this pattern. You will understand what you need to add to your space before you start working on it. It can be pretty repetitive after a while. This uses rectangular tiles that are short in height and designed to look like a series of bricks organized all around your floor. It creates a good attention-drawing surface without being too overpowering. It is easy to get brick tiles organized around your space. You’d have to measure everything carefully to ensure that the brickwork pattern is organized right. The bricks should be aligned carefully if possible. You can get the tiles for your kitchen floor arranged at random with a herringbone pattern. This works in that the tiles will be organized with four tiles alternating between horizontal and vertical points. There are no limits to how you can get such a pattern organized. This can make a smaller room a little larger in its appearance. You’d have to ensure that you get your floor organized with enough tiles to keep from having awkward open spaces or slivers of tiles all around. The cleaning process can be a challenge. This is similar to a standard grid arrangement but the tiles will be laid out from corner to corner. It can include a series of small borders or even a few other diamonds placed at the intersections of a few different tiles. The arrangement is made to establish a classy look when you choose it carefully. This creates a detailed look in your room. It can work with various colors with individual colors scattered around based on the pattern you want to establish. This can make any room look a little longer or wider. You must measure the tiles carefully around the ends of each room. You might have to make significant cuts to some tiles around these spots to make them all fit. 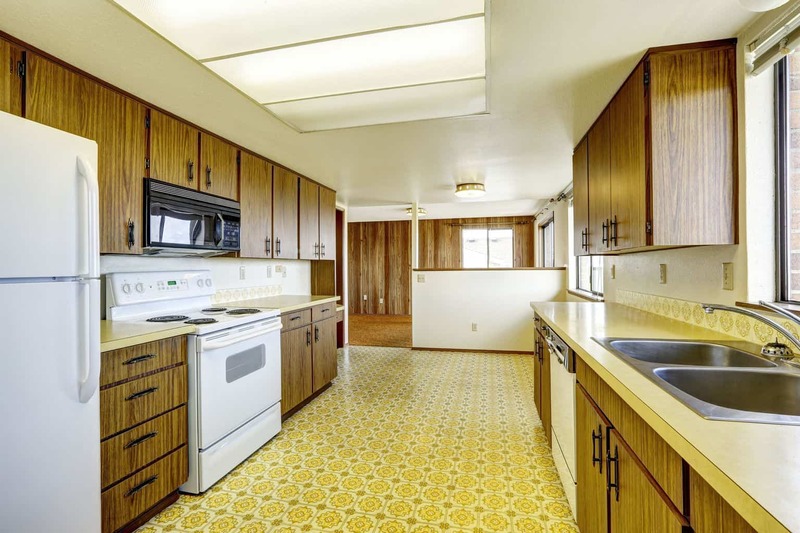 When choosing a proper color for your kitchen floor, you must look at how well it will stand out in your kitchen as well as how it blends in with other items in the area. 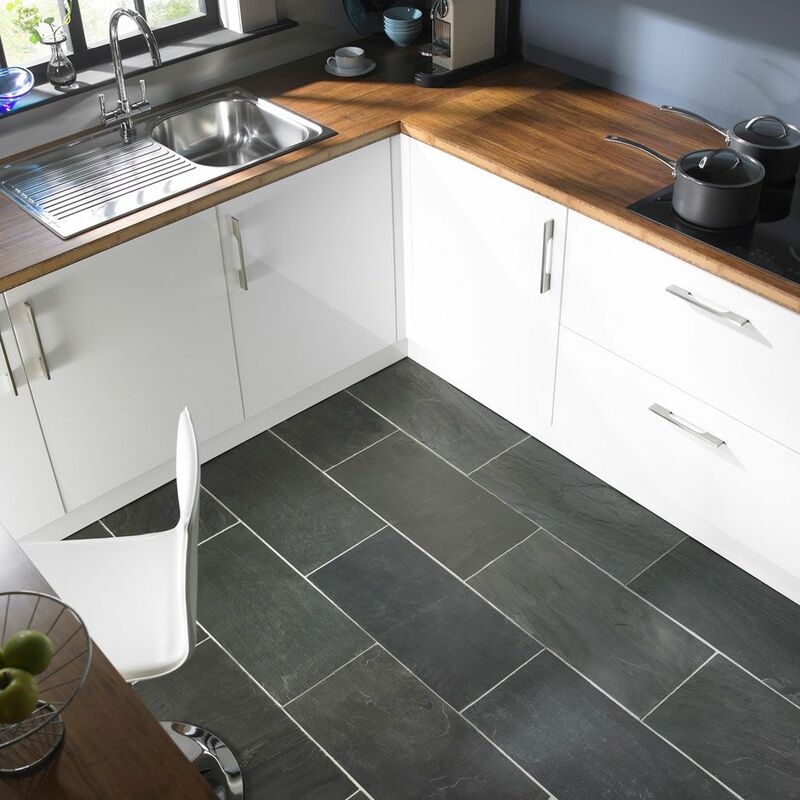 This is a look at some of the different kitchen floor choices that you can stick with when aiming to get a good look up and running in this part of your home. 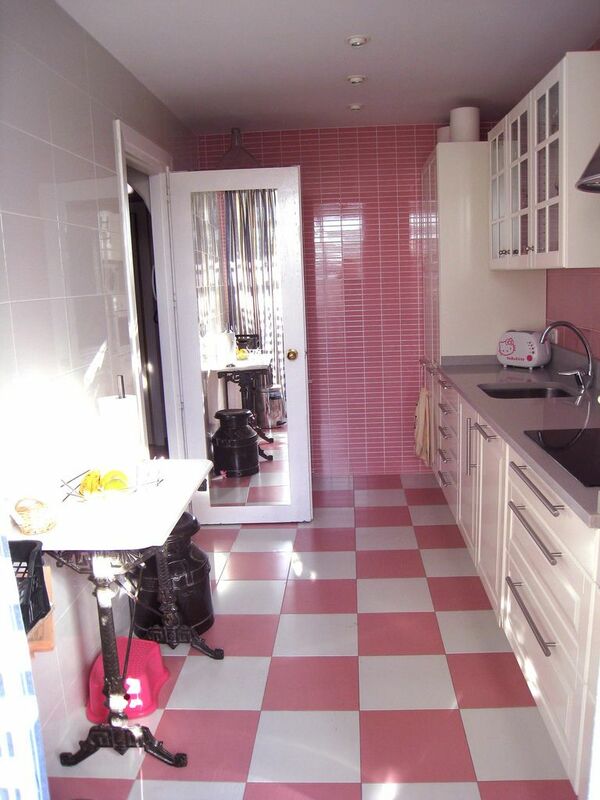 Thanks for sharing latest Kitchen flooring ideas. 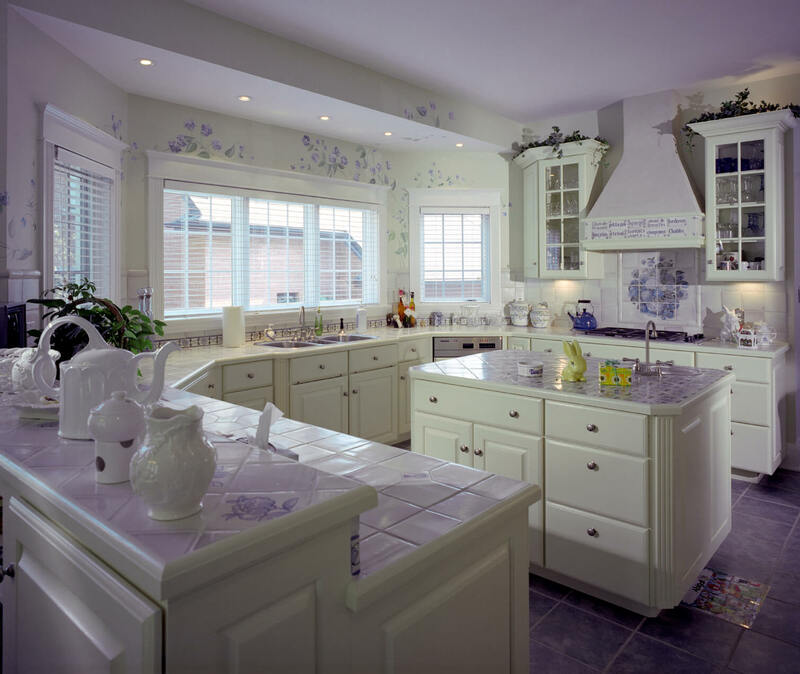 This trends is useful for renovate kitchen.